On March 21, 2016 Carnival Corporation announced that it has received approval from the Cuban government for the company to begin travel to the island on May 1, 2016. This exciting news coincided with the visit of American President Barack Obama to Cuba this week. 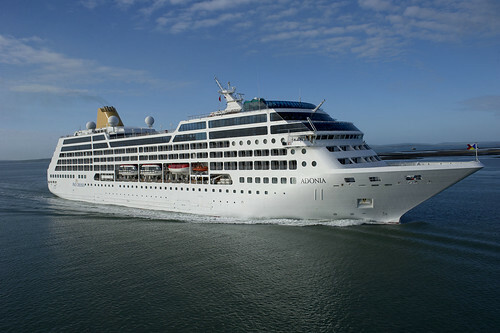 Carnival Corporation's newest brand Fathom will operate a 704-passenger vessel named MV Adonia to Cuba. This marks the first time in over 50 years a cruise ship is approved to sail from the United States to Cuba. Americans willing to experience Cuba will have the opportunity to visit the country by joining the Fathom team in several activities onboard focusing on Cuban and Caribbean-inspired music and film, Cuban-inspired menu options and culturally enriching options ranging from orientation on Cuba's history, customs, geography and culture. "We are excited about Cuban approval and are ready to take travelers there through an extraordinary guest experience on the beautiful MV Adonia," said Arnold Donald, CEO of Carnival Corporation. "This is a historic opportunity, and we know there is pent-up demand amongst Americans who want to experience Cuba." The seven-day cruise will include stops in three ports in Cuba. Departing from Port-Miami on Sundays at 4:30 p.m. Eastern Time, the ship will make stops in Havana, Cienfuegos and Santiago de Cuba. The MV Adonia returns to its homeport, PortMiami, at 7:30 am. Eastern Time Sunday. Prices for seven-day itineraries to Cuba start at $1,800 per person and will vary by season. For additional information on booking, fees and prices please visit http://www.fathom.org/. Cuban visas, taxes and port expenses also apply. Double check all required documentation when planning your trip!